Bands on the Sand at Palm Beach at Moody Gardens The summer music series schedule for Friday, June 15, 2018 is the The Slags and Saturday, June 16, 2018, is The Max. Admission is $15 and children age 3 and younger get in for free. The bands play from 6:00 to 10:00 pm and ends with a fireworks display over Offats Bayou, overlooking the Moody Gardens pyramids. Free Sandcastle Building Lessons at Stewart Beach on Saturday, June 16, 2018 from 8:00 to 4:00 pm. 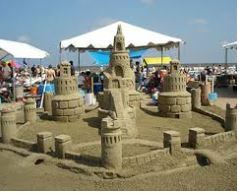 Visitors can participate in “Sandcastle Days” events to receive free sandcastle building lessons from a professional sandcastle builder. Equipment will be provided on a limited basis and participants are encouraged to bring their own sand buckets and shovels. 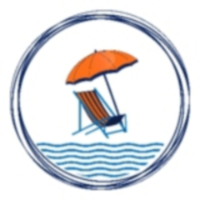 Galveston Family Beach Challenge will be held Sunday, June 17, 2018 from 11:00 to 5:00 pm. at Stewart Beach. The challenge transforms a portion of Stewart Beach into a gigantic obstacle course allowing families to compete in life-size versions of classic games. This event is free to the public and families will have the chance to win the grand prize of a $500 gift card plus tickets to island attractions.